A Set of 4 Personalised labels with many uses, including personalising wine bottles, game prizes and gifts. 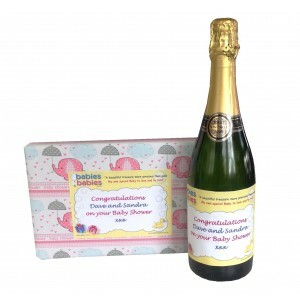 Ideal to make your baby shower party a special one. These labels are printed in sets of 4 so please order in mutiples of 4 if you require more than 1 set. You can have a different message on each label if you would like these personalising individually or all 4 can be the same message. 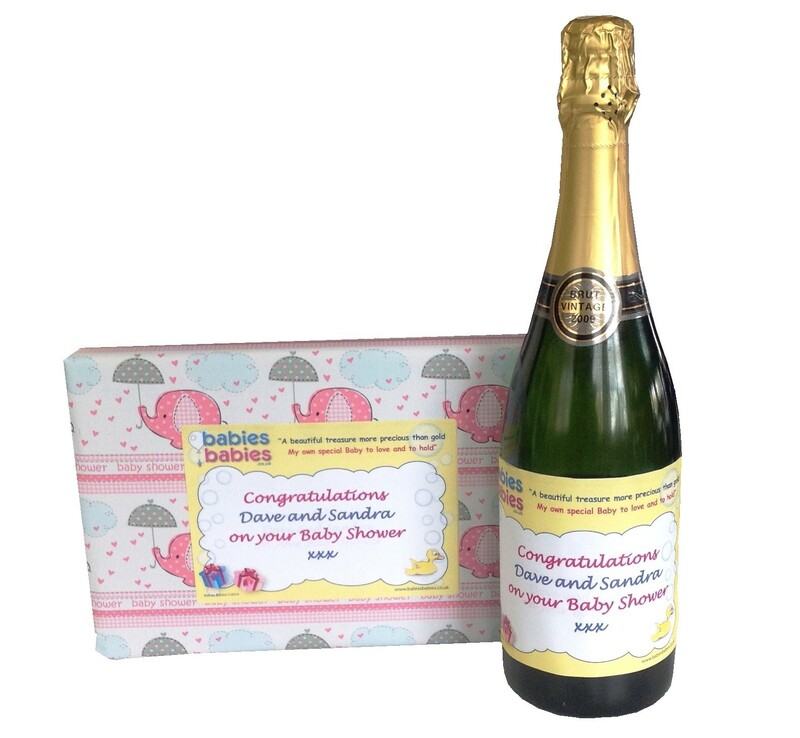 Each glossy label is professionally printed and has a removable adhesive backing so these are easy to stick onto wine, champagne or other bottles, prizes such as boxes of chocolates, gifts, gift bags and so on. Each label measures 13 cm x 9 cm. Please select your choice of ink colour for your personalisation below and enter your personalisation details into the text box below. * Thanks for making Sarah's Baby Shower such good fun. Enjoy this treat!! * Kathy's Baby Shower 1st June 2008. Thanks for sharing this day with us. Well done on winning this prize!